Resin technology has advanced sufficiently in the last few years, becoming an affordable option for homeowners and developers to utilise the material for Resin Bound Driveways. With the timeless beauty of natural stone, Resin Bound Driveways are virtually maintenance free, three times stronger than tarmac wearing course and the porous surface allows proper drainage without puddles. The team at Cheshire Bound Stone are award winning landscape designers. We transform landscapes and outdoor spaces using the very best in reclaimed and new materials. 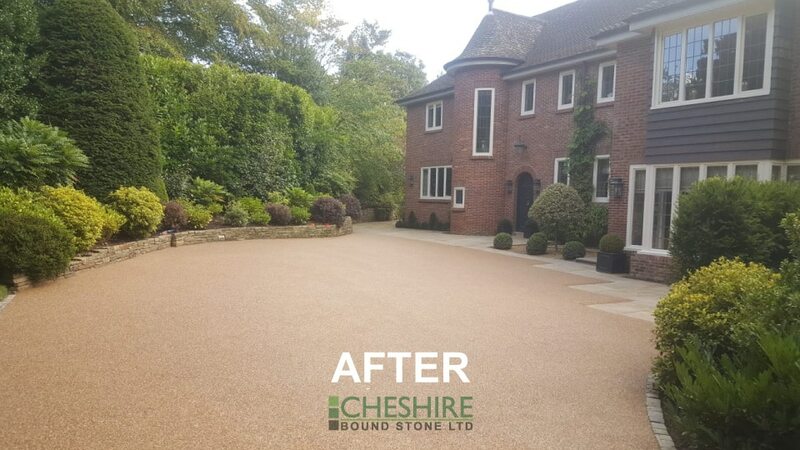 Combined with a resin bound stone we create beautiful landscapes and gardens in Cheshire and surrounding areas. 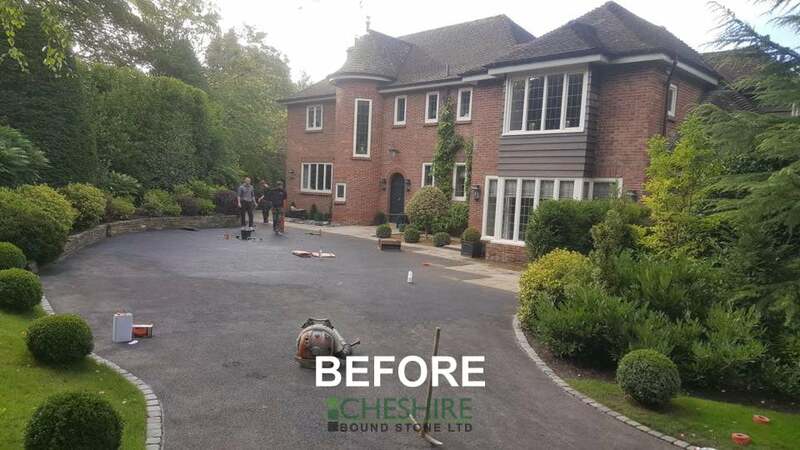 Cheshire Bound Stone do more than just driveways. Call us today for all your landscaping needs. Read what our customers have said about us and the work we do. Take a look at before and after shots with 360 degree tours! Our Design team can custom mix Resin Bound Stone to match the existing style of your home! Please feel free to contact us for advice or to arrange a free no obligation consultation, 7 days a week. Cheshire Bound Stone have carried out numerous projects for The Gelder Group over the last 2 years. On all of these projects we have found them to be extremely professional, competent and good to deal with. They are one of our preferred suppliers and consistently produce work of the highest standard.